Kirsten is a Registered Massage Therapist who graduated with distinction at the top of her class. She has a passion for holistic health and wellness, and thrives on seeing positive change in her clients through the treatment she provides. 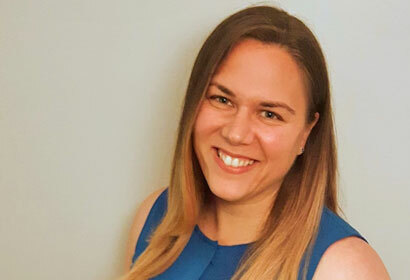 Kirsten has a diverse academic background with an Honours Bachelor of Science and a Bachelor of Education, complementing her in-depth explanatory approach in treatment. For those interested in the natural healing approach of Reiki, Kirsten can connect with her clients through a combination of massage therapy as well as Reiki healing. Incorporating both her intellect and holistic approaches, Kirsten tailors each of her client’s treatments to their individual health needs and personality. She continually strives to improve and build on her repertoire of knowledge, ensuring she is providing the best information and treatments to her clients. Come and see Kirsten to help relieve the pressures of life!